In a medium saucepan, sauté onions and celery for 2 to 3 minutes in olive oil until slightly tender. Add cream cheese, soup, and the packet of dressing mix until well combined and heat over low heat. Add the chicken and mix together. Remove from the heat and set aside. Separate each of the crescent rolls and place on a large cookie sheet. Add a spoonful of the chicken mixture at the large end of the dough triangle and roll up, folding the crescent roll on both sides. 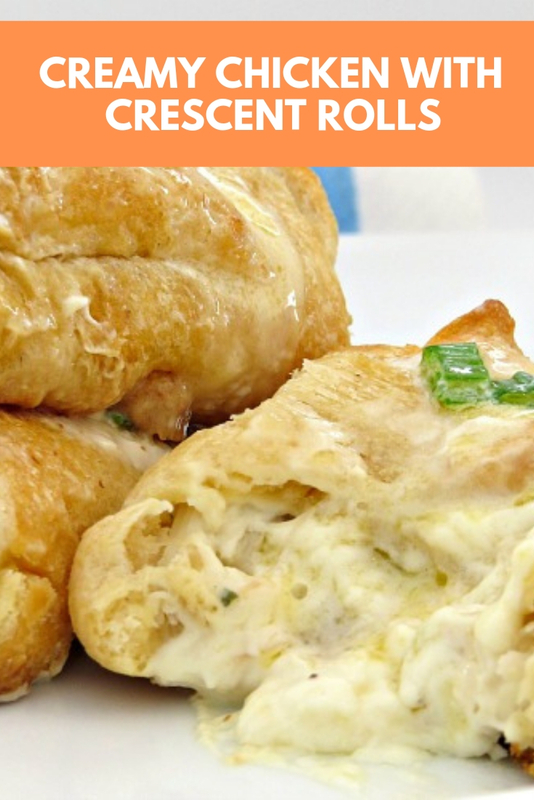 Bake chicken with crescent rolls for 10 – 12 minutes or until golden brown. Enjoy!